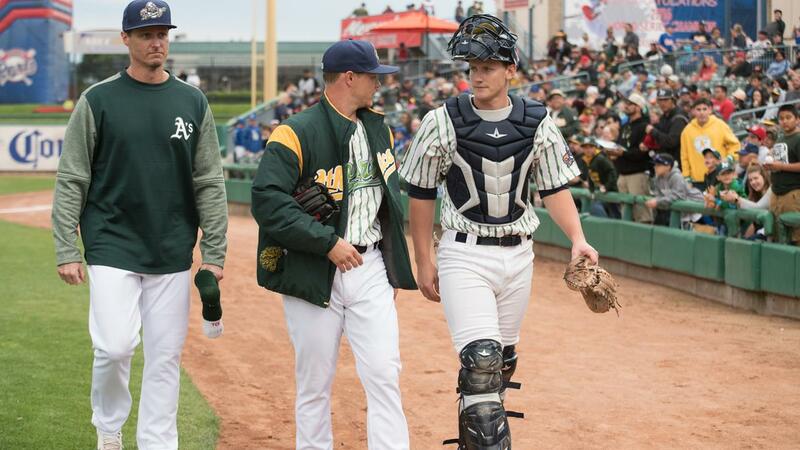 STOCKTON, Calif.- The season for Spring Training is upon us as Cactus League play is set to begin for the A's and their Minor Leaguers. While the Major League club kicks off on Thursday, February 21st at Hohokam Stadium, the AAA, AA, A+, and A clubs begin their season against the San Francisco Giants on Thursday, March 14th. The Advanced-A squad will play seven home games at Lew Wolff Training Complex and seven road games, facing the following opponents throughout the Spring: Chicago Cubs, Arizona Diamondbacks, Los Angeles Angels, Colorado Rockies, Cincinnati Reds, and San Diego Padres. Numerous former Ports will head to camp with the big club as non-roster invitees, including pitchers Parker Dunshee, Jesus Luzardo, A.J. Puk, and Miguel Romero, catchers Jonah Heim, Sean Murphy, and Beau Taylor, and infielder Sheldon Neuse. Minor League rosters are yet to be announced. The Ports Opening Night in Stockton is scheduled for Thursday, April 4th vs. the Rancho Cucamonga Quakes. Tickets for all regular season Ports games at Banner Island Ballpark (excluding the July 4th Independence Day Celebration game) will go on sale to the public on Friday, March 15th. Ports ticket memberships, group tickets, and mini-plans are currently available by calling the Ports Front Office at (209) 644-1900. Office hours are Monday through Friday, 9:00am to 5:00pm. Fans can follow the Ports on social media @StocktonPorts on Twitter, Instagram, and Snapchat, and on Facebook.com/PortsBaseball.